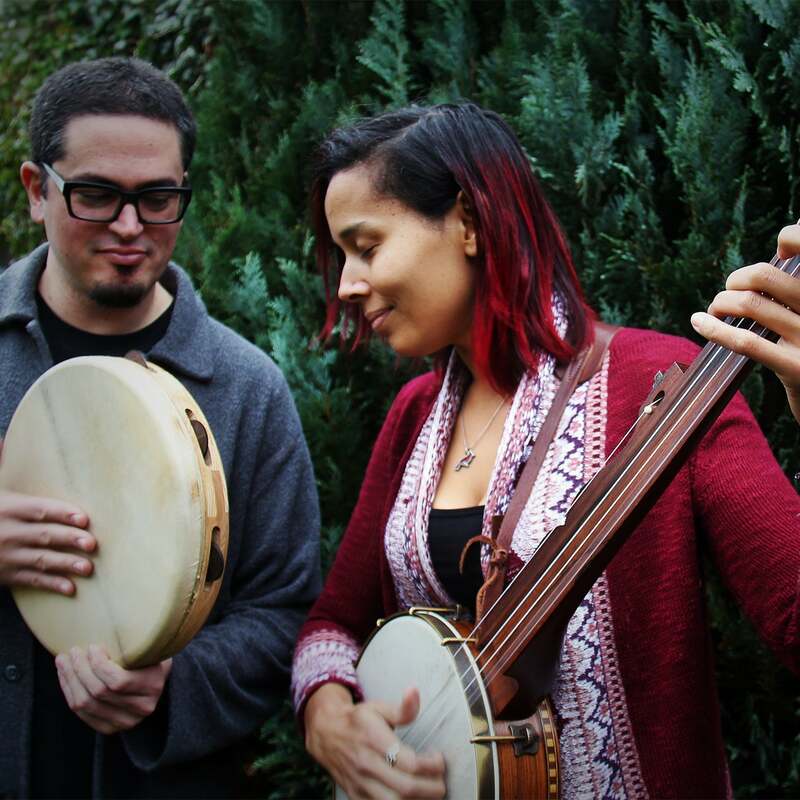 Rhiannon Giddens is an American artist of folk and traditional music, played on fiddle and banjo; Francesco Turrisi is an Italian pianist and percussionist well versed in jazz, early music and Mediterranean music; at first blush, their worlds don’t overlap. But at a chance musical meet-up in Ireland they found that her 19th century American minstrel banjo tunes and his traditional Sicilian Tamburello (tambourine) rhythms fit very naturally together. They soon discovered the reason for that - their respective roots coexisted in the past. Pictures of early minstrel bands all represent banjo and tambourine (called tambo) together, where in many cases the tambo is held in the same manner of Southern Italian tamburello traditions today. The massive effect that West African music and dance has had upon American culture is by now well known; but centuries before, European music was being transformed by Arabic and North African modes, instruments, and rhythms. Working together they trace this musical globalism by reimagining the encounter of the banjo and the frame drum, and other instruments, through their journey from Africa, the Middle East, through southern Europe and England, and over to the Americas….